Albemarle Corporation was seeking a motivational sports celebrity speaker for their sales conference who could speak on the topics of leadership styles, teamwork, and success. Dr. Tom Osborne was the perfect dinner keynote speaker for Albemarle, sharing stories about his leadership style that resulted in one of the most accomplished college football coaching careers ever. His Q and A after the speech was entertaining and filled with laughter and fun stories. 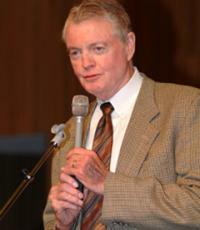 Please contact Direct Sportslink to secure Dr. Tom Osborne for any motivational speaking engagement, personal appearance or endorsement. We work directly with Dr. Osborne to secure him for any corporate event, organization, fundraiser, or association. Direct Sportslink was fantastic to work with helping us secure legendary college football coach Dr. Tom Osborne for our dinner event. Your timely responses and always being there ready to help us was very important in our planning process. To top it off, you had a representative at our event to make sure everything went smoothly. Dr. Osborne more than delivered on his part and was a great speaker. Thanks again for all of your help. A Tom Osborne personal appearance, Tom Osborne speaking engagement, or Tom Osborne endorsement will reflect well on your company. To hire Tom Osborne now for any corporate appearance, fundraiser, motivational speaker event, personal appearance, autograph signing, or website endorsement please contact our celebrity agents at 1-877-6-SPORTS. We will contact Tom Osborne or contact Tom Osborne's agent and provide you with the booking fees and availability immediately upon your request. Direct Sportslink is the only sports speakers bureau and talent booking agency based in the United States securing only sports talent for corporations, associations, and organizations for motivational speaking engagements, personal appearances, and endorsements. We are the premier sports celebrity booking agency and a sports celebrity procurement expert. Accordingly, we will provide you with any relevant Tom Osborne website information and booking agent details so that you can hire Tom Osborne for your next event. Osborne is best known as the former head coach of the Nebraska Cornhuskers. Osborne was the head coach from the 1973 season until 1997, and led the Huskers to 13 conference championships and three national championships. His 255-49-3 record gave him the best winning percentage (83.6%) among active NCAA Division 1-A coaches at the time of his retirement and the fifth-best of all time. Osborne was inducted into the College Football Hall of Fame in 1999. In 2000, he recieved the Jim Thorpe Lifetime Achievement Award. As a college football coach, Tom Osborne was respected by his peers, and that legacy continues to the present time. 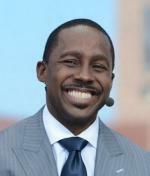 His second national championship team, in 1995, is widely regarded as the best college football team in history, and especially in the modern era. The team won by an average score of 52-14 in the regular season and beat four top 10 teams (as ranked in the final polls) by an average score of 49-18. The team crushed second-ranked Florida in the Fiesta Bowl 62-24. After retiring from coaching, Osborne became the Athletic Director at the University of Nebraska. 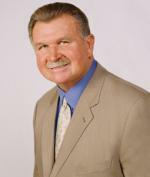 On September 26, 2012, he announced that he would retire as Athletic Director effective January 1, 2013. Based on your interest in Tom Osborne as a speaker or for a personal appearance, Direct Sportslink has provided you additional links below for other sports talent with similar appearance fees, speaker topics, and categories that match Tom Osborne.